ApartDirect Gamla Stan II This stylish self-catering accommodation is located in the Gamla Stan district of Stockholm, just 300 metres from The Royal Palace. ApartDirect Gamla Stan II offers a living room with a TV and a seating area. The fully-equipped kitchen includes both a microwave and an oven. The bright and modern bathroom comes with a shower. All the city's transport options are easily accessible from this central location. Holiday apartment 268271 I kitchen for six persons, 1 bedroom for 2 persons, 1 livingroom where 2 persons can sleep, tv, access to internet through highspeed broadband. ApartDirect Sveavägen II ApartDirect Sveavägen II is a self-catering apartment located in central Stockholm. Rådmansgatan Metro Station is a 3-minute walk away. A sofa bed and a flat-screen TV feature in the living room at ApartDirect Sveavägen II. The apartment has a bathroom with a shower and hairdryer. Kitchen facilities include a stove, dishwasher and coffee maker. Stockholm Central Station and the Old Town are both within a 5-minute metro ride of the apartment. Holiday apartment 305374 Spacious, modern and luminous 1 bedroom apartment very well located in the city center. Comfortable living room, very nice kitchen and bathroom design. The bedroom has a double bed. Wifi internet. A great choice Few steps from the city center. Birka Hostel price per day from 593 Housed in a former brewery, Birka Hostel offers free WiFi and rooms with shared or private bathroom facilities. Drottninggatan shopping street is 300 metres away. Free tea, coffee and pasta are available in the shared kitchen. A breakfast is also served daily. Guests can relax or mingle with others in the shared lounge. Hötorget Metro Station is 80 metres away, providing easy access to Stockholm's transport network. Hotel Bema price per day from 450 Set in the Vasastan district of central Stockholm, Hotel Bema offers free WiFi, free tea/coffee and bright rooms with a flat-screen TV. Drottninggatan shopping street is a 3-minute walk away. A desk, an electric kettle and a private bathroom with shower are standard at Bema Hotel. Some rooms have views of Tegnerlunden Park, while others overlook the inner courtyard. Breakfast can be arranged at a nearby café, if requested in advance. Hotel Skeppsholmen price per day from 1251 Set in a charming 1690s building on a peaceful city island, this design hotel is 300 metres from Moderna Museum. Hotel Skeppsholmen’s rooms feature windows with traditional wooden shutters. Each bathroom includes a designer Italian wash basin by Boffi and modern shower. 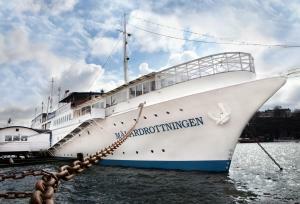 The eco-friendly Skeppsholmen Hotel provides 24-hour room service, while Wi-Fi and the mini gym are free. Three Crown Hostel price per day from 700 This hostel is 500 metres from Stockholm Central Station and 5 minutes’ walk from Rådhuset Metro Station. It offers 24-hour access and basic rooms with free wired internet access. 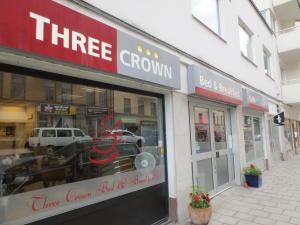 All rooms at Three Crown Hostel have shared bathroom facilities. A basic style breakfast is offered each morning at the cosy in-house café. Stockholm City Hall is a 6-minute walk from Hostel Three Crowns. 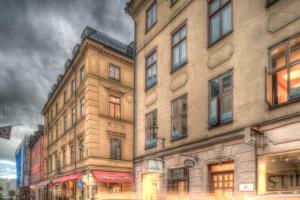 Drottninggatan shopping street is a 10-minute walk away. Freys Hotel price per day from 893 Just 3 minutes’ walk from Stockholm Central Station, this stylish hotel’s popular Belgobaren offers up to 300 Belgian beers. All rooms at Freys Hotel feature bright décor and cable TV. A healthy buffet is served each morning, and guests can also treat themselves to an in-room breakfast. For lunch and dinner, the restaurant specialises in Belgian classics such as marinated mussels. Villa 268199 Architect-designed luxury villa in the Stockholm archipelagoDo not miss this spectacular, architect designed villa of 182 sqm ! Perfect for 1 or 2 families wanting to be close to the beach and explore the Stockholm archipelago. Holiday apartment 268221 Penthouse of 108 sqm (92 BOA) and 6 sqm terrace with open plan kitchen and lovely. The apartment has all the amenities you might need and is ideally located close to Maria Square subway. Holiday apartment 305372 A magnificent penthouse apartment located in the center of Kungsholmen on Lake Mälaren.High quality with private terrace overlooking the colorful Swedish rooftops, sauna and fireplace. 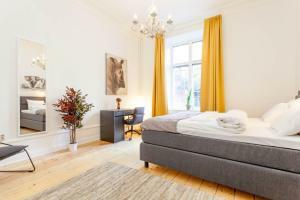 Holiday apartment 304849 Chic and elegant studio apartment located in the best area of Östermalm, Stockholm, only 50 meter from Strandvägen, argued the most prestigious address in Sweden. Holiday apartment 268206 Our 108sqm apartment has everything you would want for the best holiday in Stockholm.The master bedroom and guest room are equipped with queen / king beds for four adults. Villa 305337 When you rent Brovakten Bed and Breakfast in Stockholm, you have everything within reach!Wildlife and city life at the same time. Stockholm City is reached swift and easily. Nobis Hotel price per day from 1268 Nobis Hotel is housed in 2 stylish 19th-century buildings on Norrmalmstorg Square, in the middle of Stockholm’s main shopping district. The Gold Bar offers drinks and brasserie-style food. Guests can work out in the fitness centre with state-of-the-art equipment or relax in the sauna or the steam room. The popular Stureplan nightclub area is a 3-minute walk away. The Royal Dramatic Theatre is located 200 metres away. 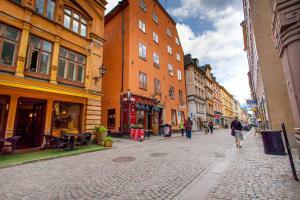 Archipelago Hostel Old Town price per day from 456 Set in a 17th-century building in the centre of Stockholm’s old town, Gamla Stan, Archipelago Hostel Old Town is 300 metres from the Royal Palace. Gamla Stan Metro Station is a 2-minute walk away. The bright, simply furnished rooms at Archipelago Hostel Old Town have large windows overlooking charming, cobblestone streets. 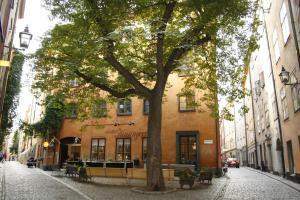 The Nobel Museum is a 3-minute walk from Archipelago Hostel Old Town. Ferry connections to the islands of Djurgården and Skeppsholmen are just 300 metres away. 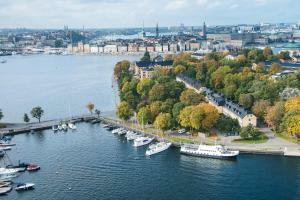 Radisson Blu Strand Hotel, Stockholm price per day from 1616 Stunning Nybroviken waterfront views and free WiFi make this central Stockholm hotel a perfect base from which to explore the Old Town and the Moderna Museum. The restaurant, Herr Julius C/O Strand Hotel, uses the highest quality ingredients in its modern Swedish and international dishes. After dinner, guests can relax with a free sauna at Radisson Blu Strand. The National Museum and Kungsträgården Metro Station are 5 minutes’ walk away. Old Town Lodge price per day from 599 This good-value hostel is located in Stockholm’s Old Town, only 250 metres from the Royal Palace. It offers a fully equipped communal kitchenette, individually decorated rooms and free Wi-Fi internet access. 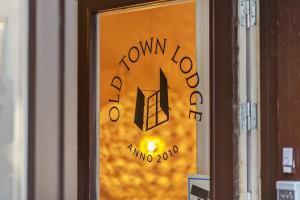 Housed in a building dating back to the 1600s, the Old Town Lodge offers guest rooms with shared bathroom facilities. Other facilities include massage treatments and daily newspapers. Old Town Lodge is surrounded by restaurants, museums and small boutiques, and the friendly staff is happy to provide tourist information. Sheraton Stockholm Hotel price per day from 1350 This stylish hotel is 300 metres from Stockholm Central Station and 5 minutes' walk from the Old Town. Its air-conditioned rooms have a flat-screen TV and tea/coffee maker. Sheraton Stockholm’s modern rooms also have luxury beds with soft mattresses and goose feather pillows. Wi-Fi is available in all rooms, while free wired internet is offered in the business centre. The in-room spa service provides relaxing treatments in a comfortable setting.